What can mobility and data automation do for your manufacturing organization? Despite the strong ROI from implementing an Auto ID solution, many organizations have concerns about the challenges of mobilizing and automating their workforce. Such concerns include security risks, system costs including hardware, software, integration, service and support, integration with mobile apps and infrastructure and hardware quality. 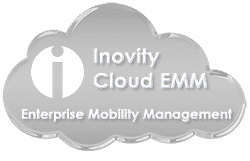 Inovity can assist you in addressing, understanding and overcoming these challenges, and bring the benefits of worker mobility and data automation to your manufacturing organization. If you’re ready to elevate the efficiency and productivity of your manufacturing operation, Contact us today to learn more.